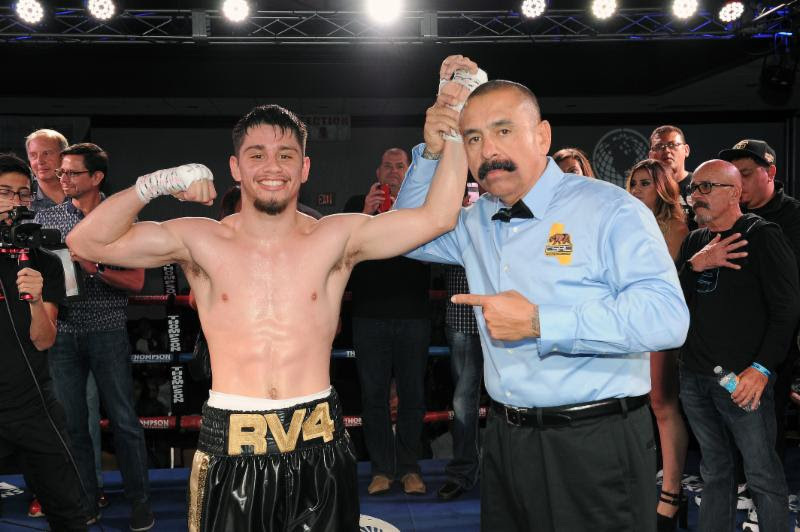 Rising featherweight talent Ruben Villa (9-0, 4 KOs) of Salinas, Calif. faced some fight week uncertainty after his initial opponent, Ruben Tamayo, fell in and was replaced by Juan Sandoval (7-20-1, 4 KOs) of San Bernardino, Calif. late Wednesday. The “Path to Glory” co-feature between Villa and Sandoval is set for 6-rounds and originates from the Doubletree Hotel in Ontario, Calif. Tonight. Villa, a former two-time Golden Gloves winner, gave his take on tonight’s last minute match up, his early dominance on the scorecards, and what its like sparring against heavier competition. Your main sparring partners for this training camp were Joel Diaz, Jr. and Andy Vences. Both fight at a heavier weight class than you (135-140 lbs.). What kind of advantage will that give you on Friday night? Is there anything specific that you dialed in on for this training camp? Your opponent, Juan Sandoval, was added at the last minute. How does this affect your preparation? Of your five wins that have resulted in unanimous decision victories, you’ve managed to win every round on every scorecard. Did you expect that kind of dominance early on?